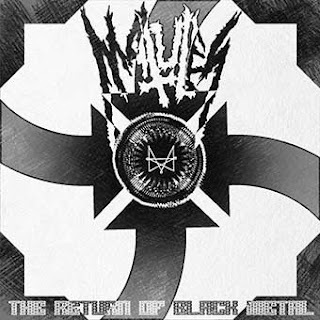 Here we have Matubes debut release entitled, “The Return of Black Metal”. Somewhat of a bold statement, although this EP is very solid. Matubes reigns all the way from Bulgaria and delivers a humble dose of aggressive simplistic raw black metal. Now when I say simplistic I mean it’s not over the top and it’s also not over done with harsh recording techniques or inaudible guitars. The first track, “War Song”, is straight forward, raw and driving. The vocals fit the music perfectly. He has a nice gravely mid range voice. There is blasting but Matubes manages to retain a lot of groove within the raw aggression. The second track, “Left Hand Path”, has good song structure and awesome chord progressions. The way they approach the simplified riffs with tons of power, keeps you enthralled. “Drink the Poison Blood”, is the final track and the only thing to be said is it’s damn good. Overall I enjoy how the guitarist changes up his right hand picking / strumming attack through out each song. This keeps the songs fresh. It’s a challenging aspect for guitarist to be able to switch up the right hand attack while retaining the consistent flow of the song. Everyone needs to keep Matubes on your radar and look for their full length release hopefully coming out next year sometime.